Have you considered becoming a Street Pastor? Having spent 30 years as a police officer, some of that time out on the very same streets, I must admit that personally I have always had reservations. However, last Friday evening, on what was a bitterly cold evening, I ‘bit the bullet’ and joined one of their patrols for a short time, then spent a while back at their Prayer Base. Despite the frost forming outside, I was very warmly welcomed (the tea & toast at 1 am very much helped too!). Whilst out we chatted to several homeless guys, providing coffee to one and a foil blanket to another, checked the railway and bus stations for stranded or otherwise incapacitated travellers, and generally checked out the highways and by-ways around the City Centre, speaking to the many doormen at clubs and pubs. I also had a great conversation with a quite sober young man who was drinking a pint outside a bar, who simply couldn’t believe that a group of people would give up their Friday night to walk the streets to help their fellow man (or woman) like this! He was not a Christian, or even a church-goer, but told me that he would really like to be part of such a group. Chelmsford 24-7 wants to support Chelmsford Street Pastors. I recently met with their Co-ordinators, Di & Gail to discuss this and build relations. As a result, primarily I want to encourage more Christians from our City to get directly involved with Street Pastors. Street Pastors are generally out 10 pm to 4 am, every Saturday, every other Friday and some Wednesday’s and occasionally for other special occasions. You do not have to go out every week and some go out once a month or even less so. Age is not a barrier, our oldest Street Pastor is in his eighties, but they are very keen to attract some younger people, of which there is a distinct under-representation. I went out as an Observer. No obligation. Street Pastors welcome any of you to do the same. Why not come out one night and see what it is all about for yourself? Comprehensive training is given over a number of weeks should you wish to become part of the Team. If you simply can’t face the thought of patrolling the streets, then you can always pray. Without prayer back-up, Street Pastors would not function and unfortunately their pool of pray-ers has been diminishing. 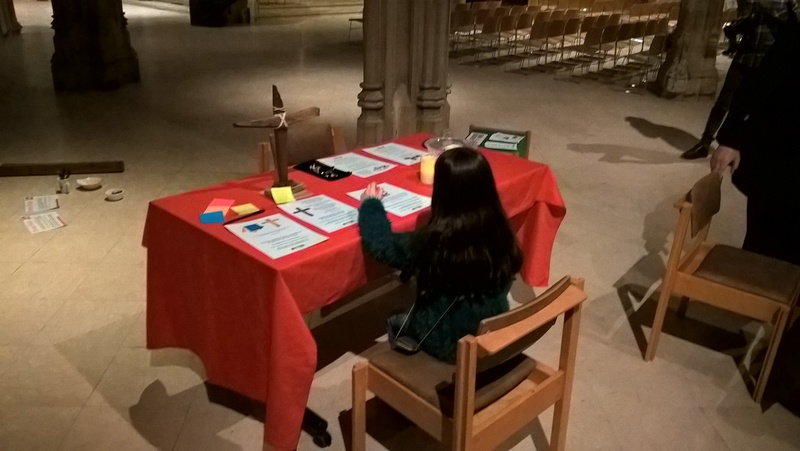 Prayer takes place throughout the night, with Pastors phoning the ‘Base’, next to Life Church, off of Moulsham Street, requesting prayer over the many people and situations they come across. Even if the physical or other limitations prevent you from travelling into the City Centre at night, you can join the Team and pray at home. When a request for prayer comes into the Prayer Base, in turn it is phoned through to those who have agreed to stay up and pray where-ever they are. Another way we have agreed to help our Street Pastors is to have our own Prayer Walks on some Friday evenings when they can’t be out. These will take place earlier in the evening, finish no later than 9 pm, We trialled such a Walk in September last year. We will walk the City Centre area, where the pubs and clubs are situated. This will not be in any way a Street Pastor role, but will simply be to to pray for peace and blessing and spread the ‘aroma of Christ’ onto our streets. We have two Walks scheduled at present: Friday 10th February and Friday 10th March. 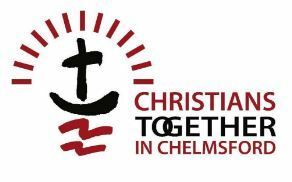 Simply turn up on the evening from 7.30 pm, at Cables House, (next to Life Church), Hall Street, Chelmsford, CM2 0HG, which is the Street Pastor’s base, and after initial prayers and briefing we will walk until about 9 pm. So, there is really no reason not to get involved. It’s not a Scripture, but it is said, many hands make light work! The more people who can contribute a little, will reduce the burden and increase the availability and effectiveness of this amazing ministry. It does however say in Psalm 133, ‘How good and pleasant it is when God’s people live together in unity!’ and God is bringing blessing and transformation on our City through Christians praying and working for His Kingdom together. Maybe, if I’m out Observing again, I’ll be able to chat with you over a slice of toast at 1 am! Their Facebook Page is here. Do ‘join’ the group. Previous PostLooking Back at 2016 & Aslan is Coming!Next PostGo Chelmsford Churches, Go!